Reposting this craft. 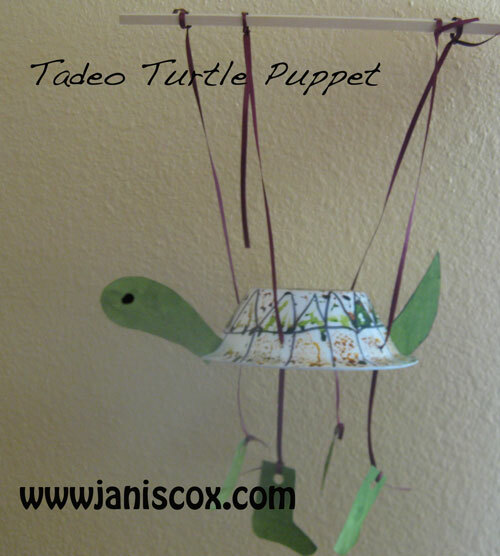 Want to make an easy Tadeo Turtle puppet? Follow the directions. Use your imagination. 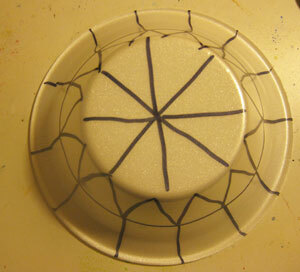 Draw shapes on the bowl to represent a turtle (imagination is good here as any shapes will be do). Paint the shapes. 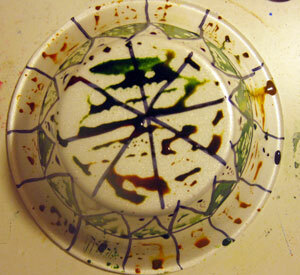 I found that it was hard for the paint to adhere to the styrofoam bowl but with a little patience it made some marks. I waited until it dried and painted again. 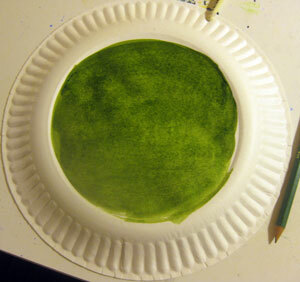 Paint the front and back of the paper plate. Wait for it to dry. Draw on the shapes for a head, 4 feet and a tail. Attach the tail and the head to the body. I found the best way – cut a slit into the bowl and slide the head into the bowl. Do the same to the tail. Put holes in the bowl where the feet will go. 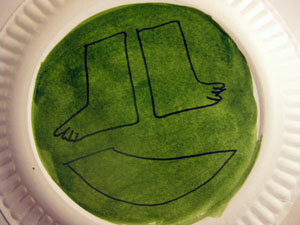 Put a hole in the top of each foot. Thread the wool through the hole in the foot and knot it .). Continue with this piece of wool and thread it through the hole in the bowl (knot inside the bowl). Attach the string to the piece of wood or straw (the puppet controller). 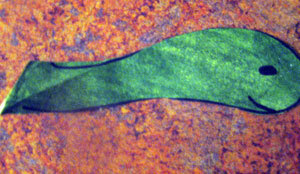 Continue to thread the wool through the holes to fasten the feet to the body and tie to controller. Using the controller you can now manipulate your puppet (marionette) and make him walk, skip, dance or jump. Here is the Tadeo Turtle Puppet in Action. Check out my books at my Bookstore. Free books – sign up now. This entry was posted in Kids, Watercolour and tagged activity, craft, Crafting Saturdays, crafts, kids, marionette, puppet, Tadeo Turtle, turtle, turtle puppet on February 19, 2017 by JanisCox. So cute! We shared it with our Pinterest and Twitter readers. Have you ever thought of contacting Kawartha Turtle Rescue? I love this Turtle. I would like to invite you to link up the post on my Money Saving Monday Link Up. And I did link up. Thank you so much for featuring me. Very cute. This reminds me of a walk along turtle I made for my daughter when she was very little. Visiting from the Virtual Refrigerator. Oh I have seen the walk along creatures too. I might make another Tadeo Walk – along sometime. I love your turtle puppet. How creative. I’m looking forward to learning more about your book too. Visiting from Home Educator Mom. I appreciate you for linking up. Have a blessed Easter! Thanks so much for your kind words. He was very fun to make. And I LOVE Home Educator Mom. This is so cute!! Thank you for sharing at Sharing Saturday! Very Very cute, Janis. Pinned! Thanks for sharing on HammockTracks. Thanks for the Pin. Just love all the great people I am meeting. 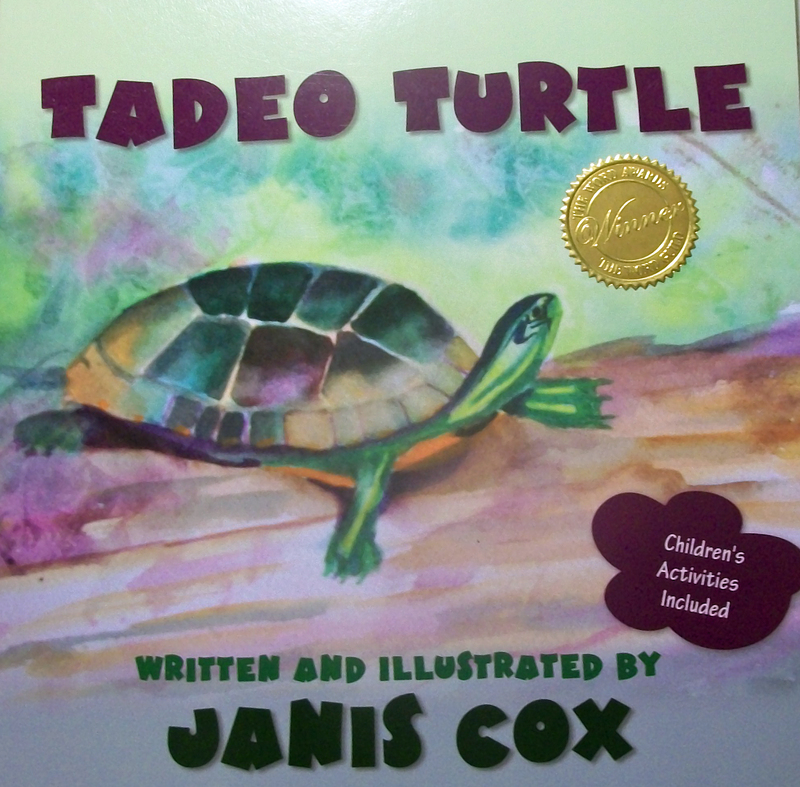 This little turtle is very engaging and if I had grandchildren I would make him, too! 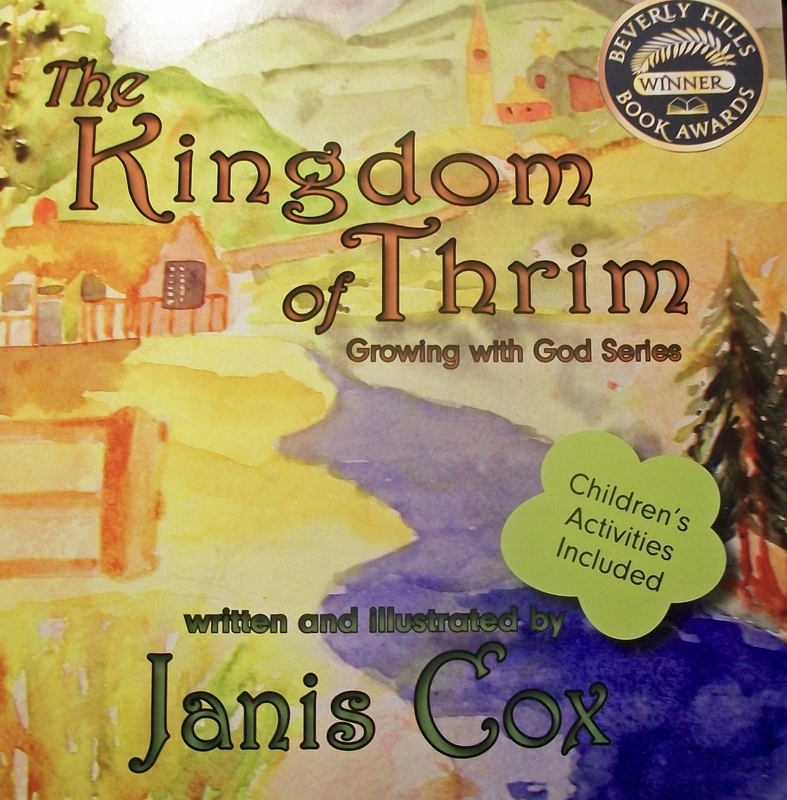 thank you for your encouragement to parents and children, Janis. May the Lord bless your ministry! I will link up now…I hope what I add is according to your framework! Thanks for dropping by. And thanks to for your encouragement. Oh, he’s so cute! 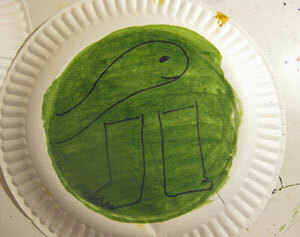 Your creative Tadeo Turtle ideas amaze me. They’re simple and fun. Sometimes they amaze me too.